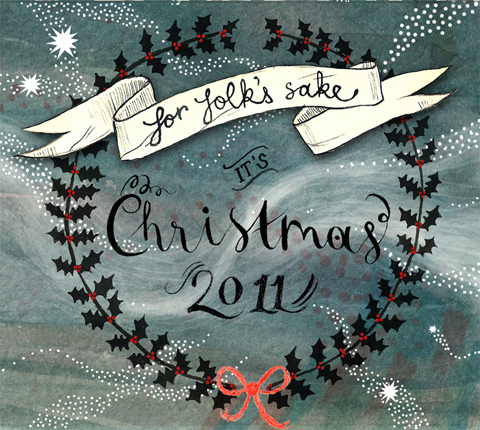 It's a bumper crop of Christmas tunes for 2011: with entire albums from the likes of For Folk's Sake, Emmy the Great and Tim Wheeler, Smith & Burrows and Kirsty Almeida. Listen on and enjoy. Merry Christmas everyone! For Folk's Sake Christmas 2011. Cover illustration artwork by Amelia's Magazine contributor Amber Cassidy.